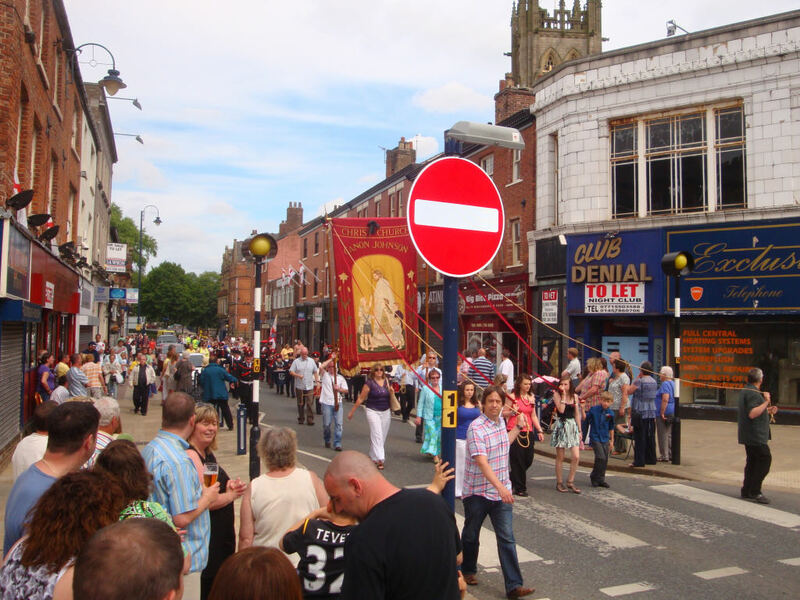 The annual Procession of Witness takes place in Ashton each June. 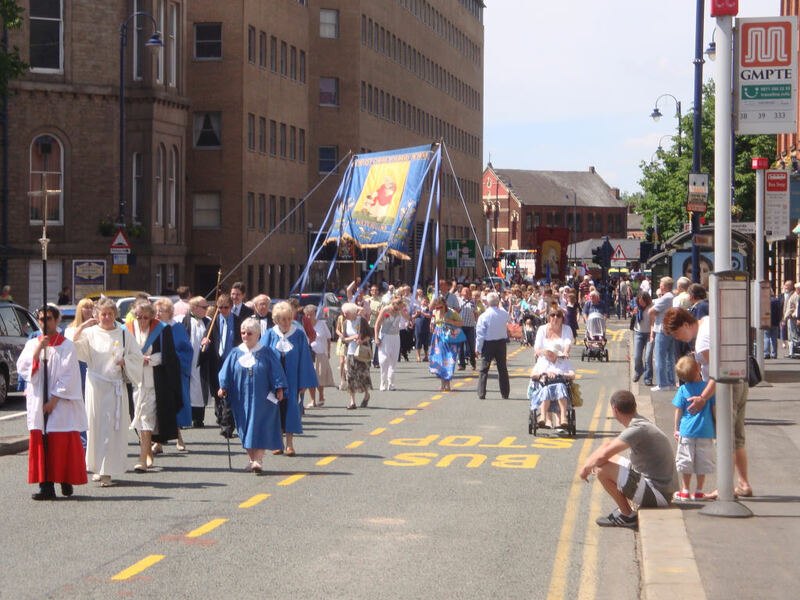 They are still usually known as "Whit Walks" although they have now moved away from their traditional date during Whitsuntide. 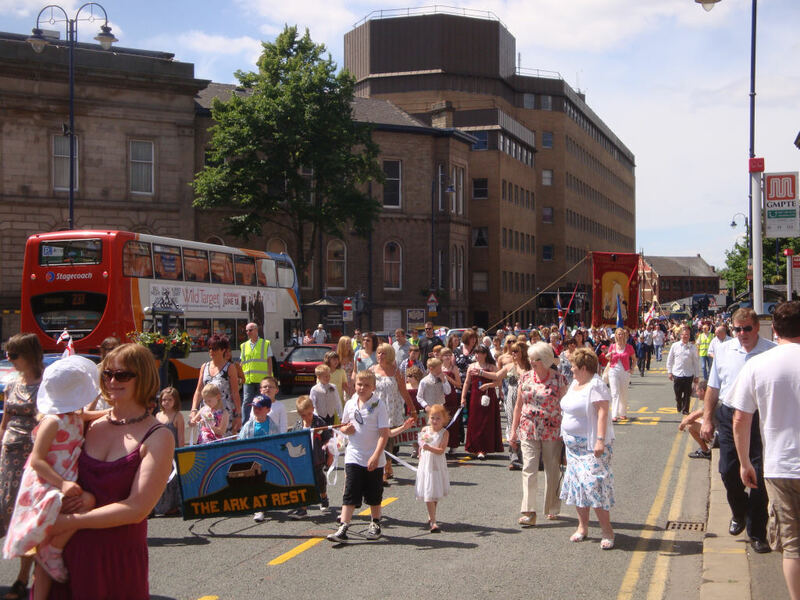 Find out more about the tradition of Ashton's Whit Walks here. This page shows a selection of photos from the Walk that took place on 20th June 2010. Charlestown Sunday School walk down Henrietta Street with Mossley Hollins School Band. The procession from Christ Church approaches along Wellington Road. 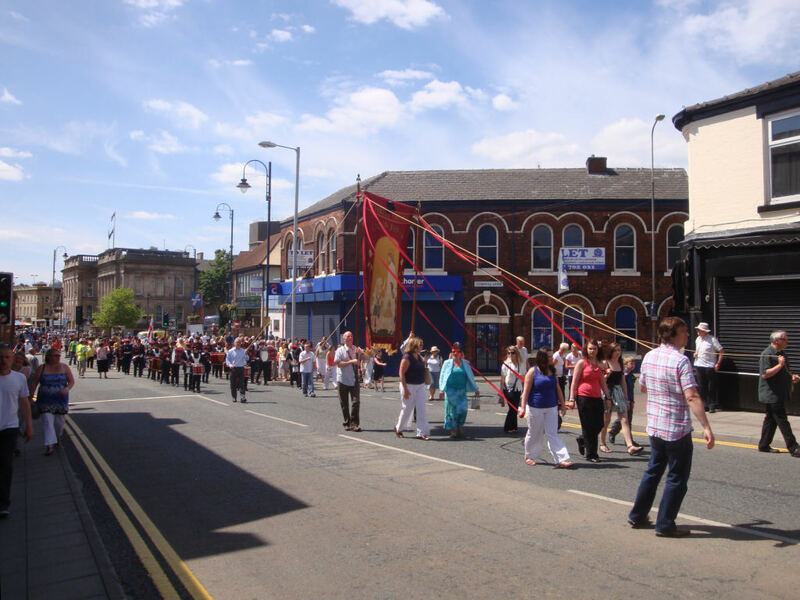 More of the Christ Church procession on Wellington Road. Christ Church walking up Penny Meadow to Old Cross Street. The church congregations assembled for a united service at Old Cross Street car park, led by Rev Roger Reece, with Ashton's MP David Heyes doing the first reading. The churches process down Old Cross Street to St Michael's Square at the start of their walk around the town centre. The procession continues along Stamford Street. 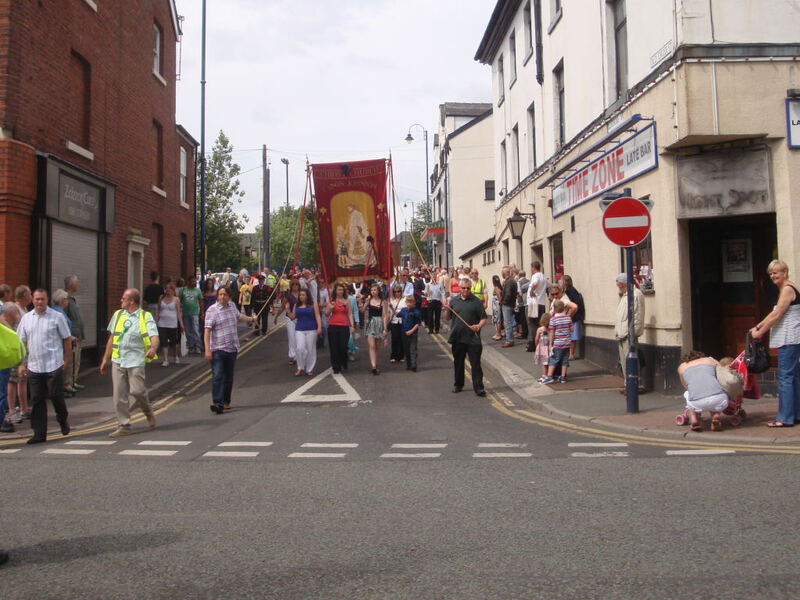 From Stamford Street, the procession turns into Booth Street, after which each contingent turns either left or right along Old Street as they make their way back to their own churches. 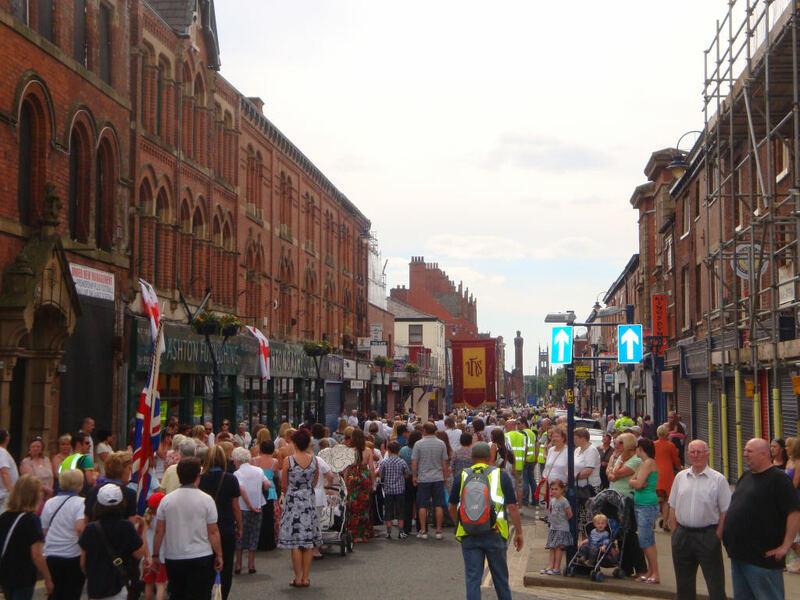 Read more about the Ashton's Whit Walks here. 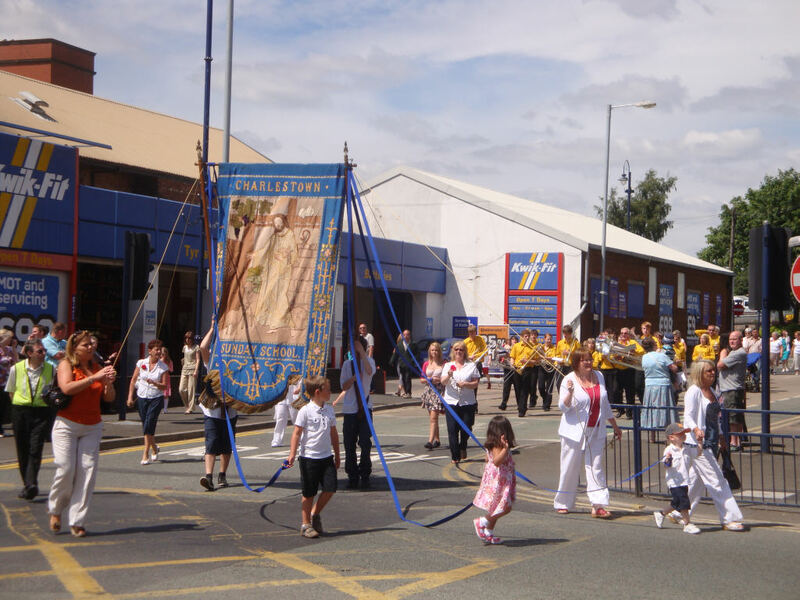 Smaller photos of the 2010 Ashton's Whit Walks here. 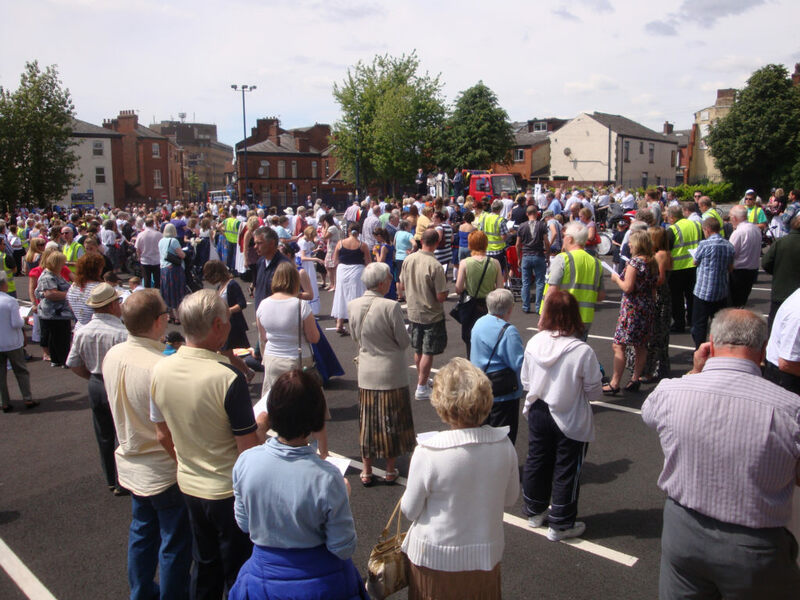 Photos of the 2009 Ashton's Whit Walks here.